Volunteer as an individual, or bring your group! Find visitor and family information, documents and media stories, and learn about the project. Learn how you can get involved with Evergreen through volunteering, sharing your story, or leaving us feedback. There are many ways to support the restoration of Historic Evergreen Cemetery. 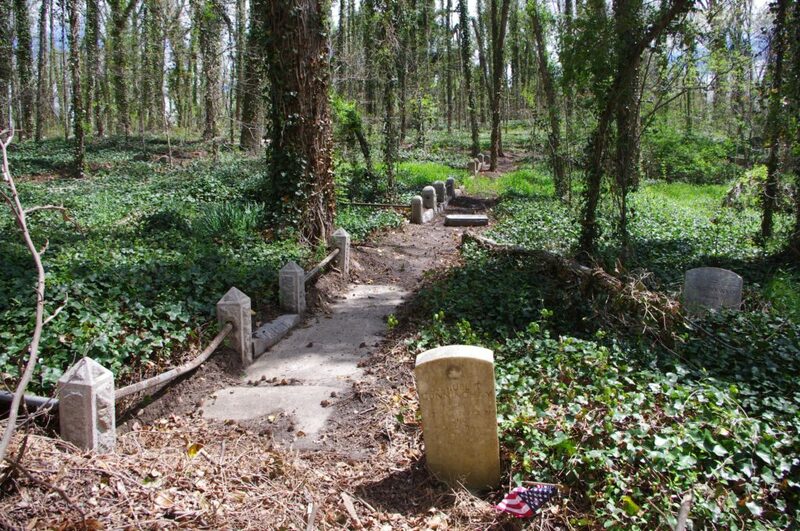 More than 10,000 lesser-known Richmond heroes are buried throughout Evergreen’s 60 acres. We invite you to make history with us by becoming involved and helping to honor those resting in this long-neglected national treasure! Join us every Saturday from 9am-12pm for volunteer clean-ups at the cemetery. Occasionally there will be free programming, workshops, and tours on those days as well! Register to volunteer on HandsOn Greater Richmond. The team - Alvin Jones, Timothy Venable, and Rodney Allen - is part of a workforce development effort, focusing on residents of the East End. The training team helps maintain the cemetery and focuses on special projects to improve the space. 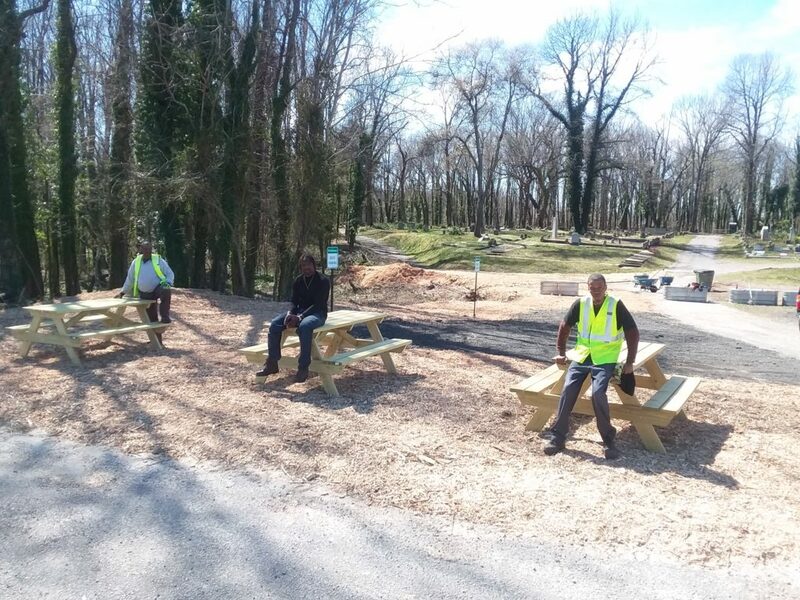 In this photo, they are showing where they created a new visitor area with mulch and picnic tables. Based on the recommendations from the VA Dept. 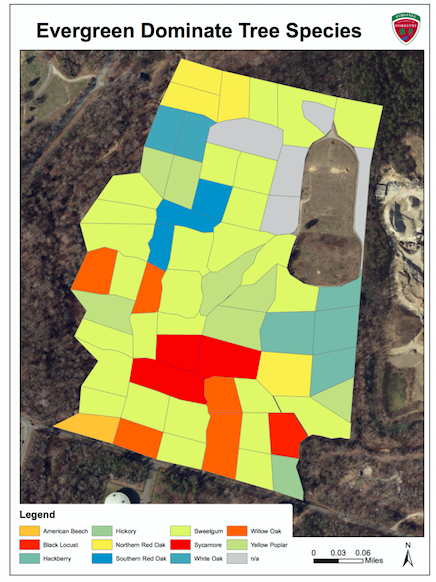 of Forestry's forest management plan, we began to deeply mulch certain areas of Evergreen to suppress weeds and add nutrients to the soil as the mulch breaks down over time. 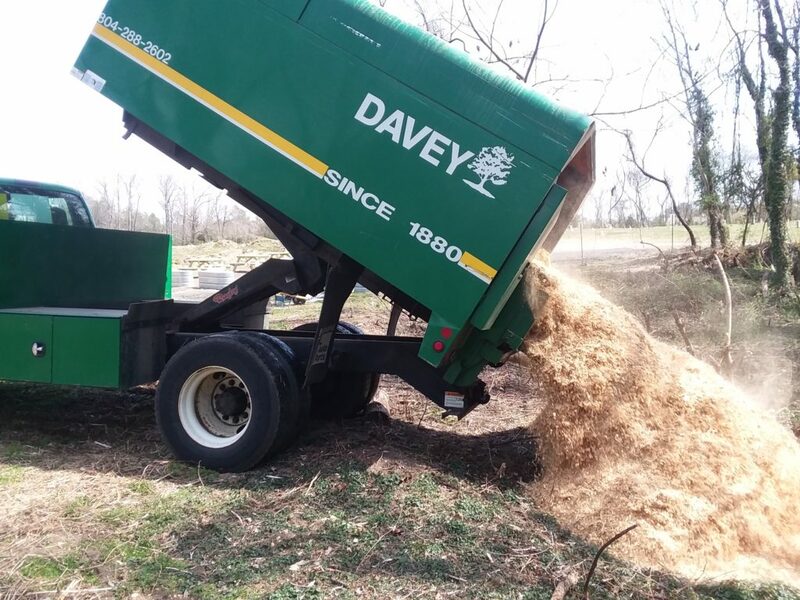 Thanks to the generous donation of Davey Tree Company, which chipped downed wood on the property, we have plenty of mulch to begin work. 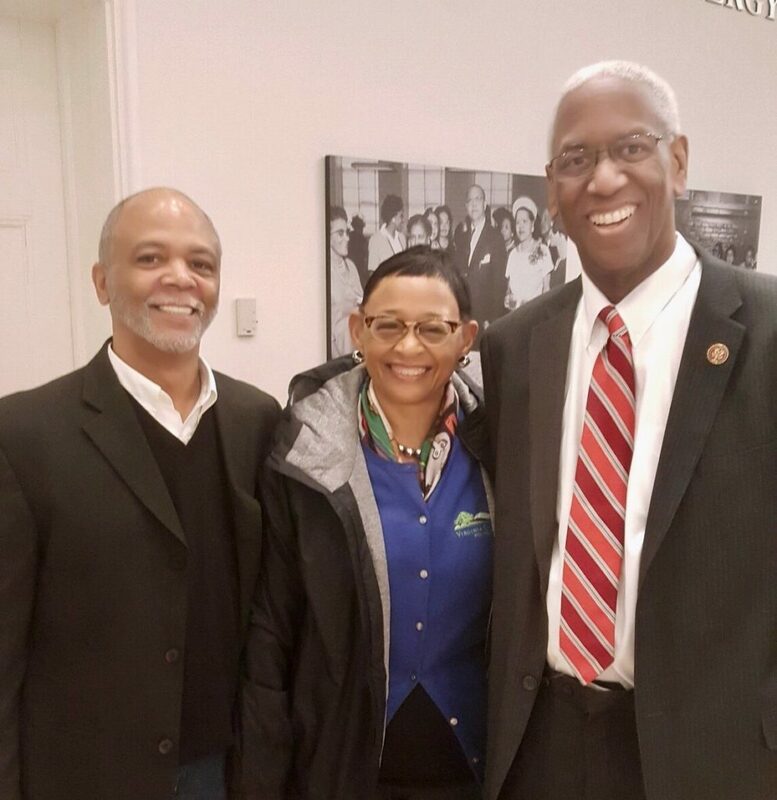 This legislation would create a voluntary national network of historic African-American burial grounds, and would provide information, technical support, and grants to aid in the research, identification, preservation, and restoration of burial sites within the network. Enrichmond is a proud endorsing organization of this legislation. 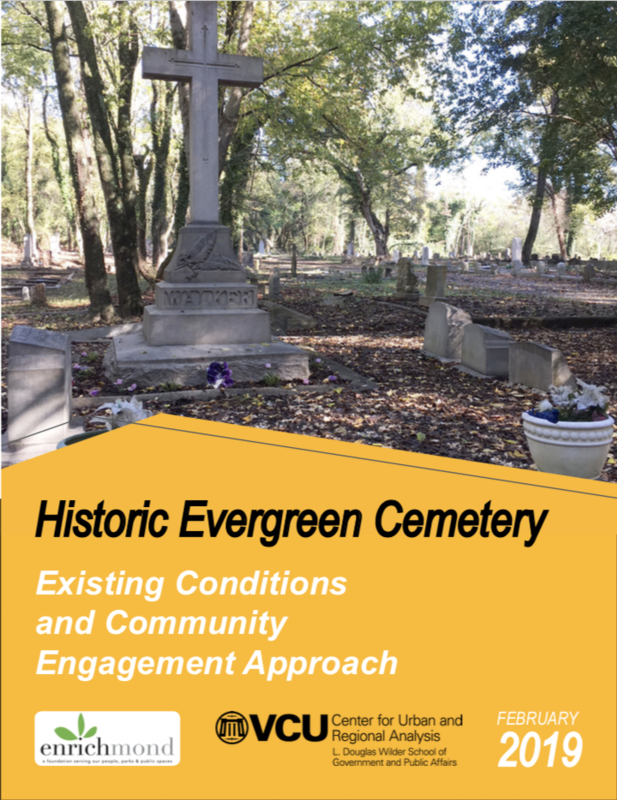 VCU's Center for Urban and Regional Analysis delivered a report that analyzes the community surrounding Evergreen, current conditions of the cemetery, and current community engagement strategies. It also presents a case study of best practices for cemetery restoration. This document can also be found on the Evergreen Library page. Advisory team welcomes Pond & Co.
At its February meeting, the ExPRT team met with Pond & Co., kicking off the master-planning process by building upon the ExPRT’s work over the past nine months, including their work in Community Conversations, as well as a range of neighborhood and association meetings. 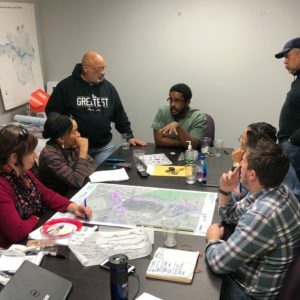 Pond, Co. created a Project Work Plan, outlining the process and timeline for the execution of a master plan. The Virginia Dept. 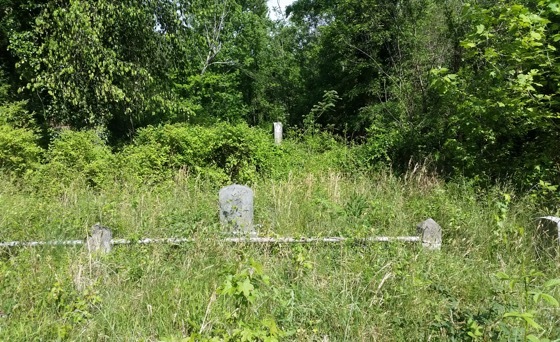 of Forestry delivered an Evergreen Community Forest Management Plan, with its recommendations for managing the current conditions of the cemetery's forested areas. 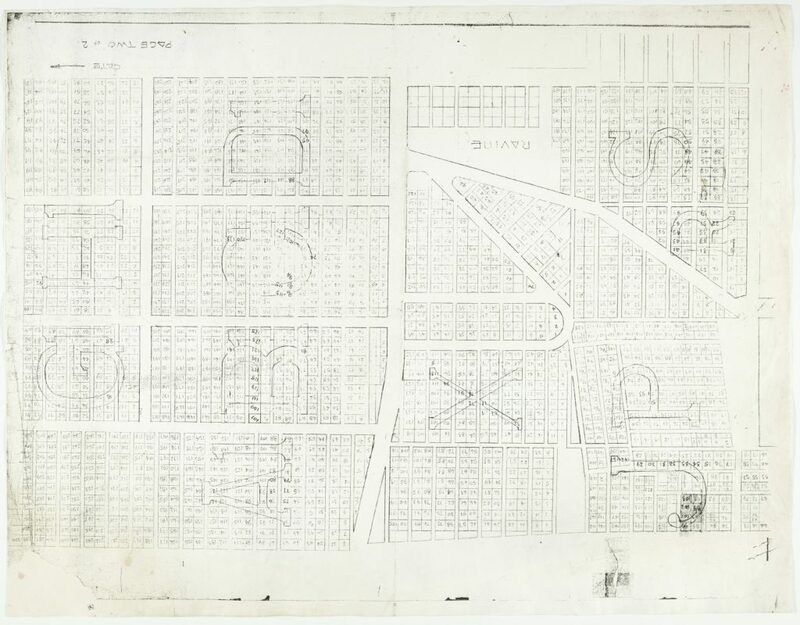 These documents can also be found on the Evergreen Library page. Over 300 volunteers joined in a morning of service, followed by a ceremony announcing Evergreen Cemetery's perpetual protection under a conservation easement. 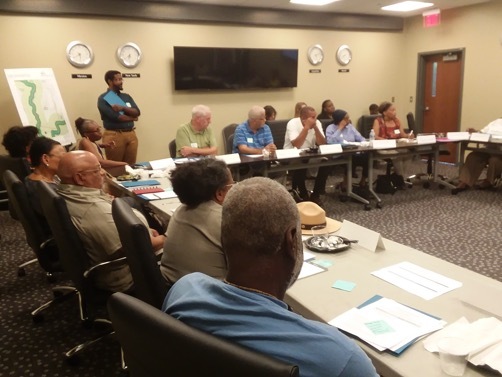 Virginia Outdoors Foundation and Enrichmond signed the easement following a choir performance by Virginia Union University, Libation Ceremony led by Elegba Folklore Society, and invocation by Rev. Dr. William Eric Jackson of Fourth Baptist Church. 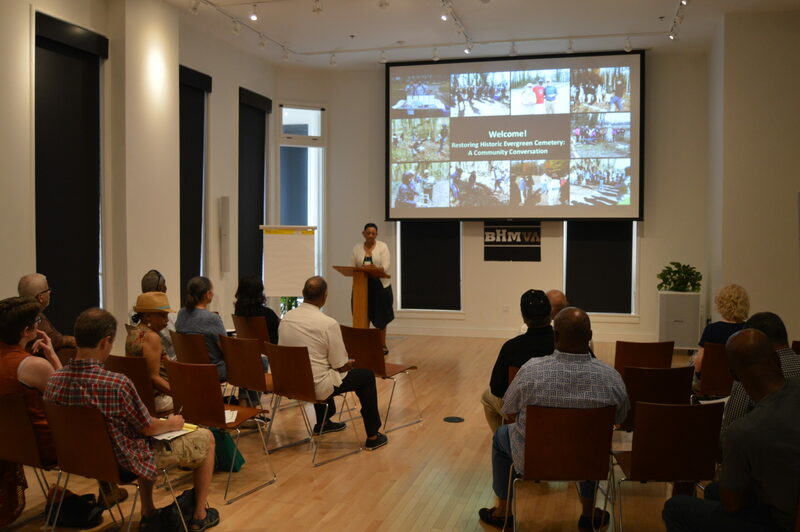 The team comprises descendant family members, as well as representatives from local institutions, including the Black History Museum & Cultural Center of Virginia, Elegba Folklore Society, the African American Historical and Genealogical Society, and the Maggie L. Walker National Historic Site. 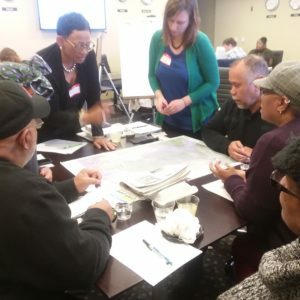 In May 2017, the Enrichmond Foundation, a nonprofit dedicated to supporting grassroots efforts to preserve and create equal access to the city’s public spaces, purchased Evergreen Cemetery—committing itself to facilitate the restoration of the long-neglected sacred site. 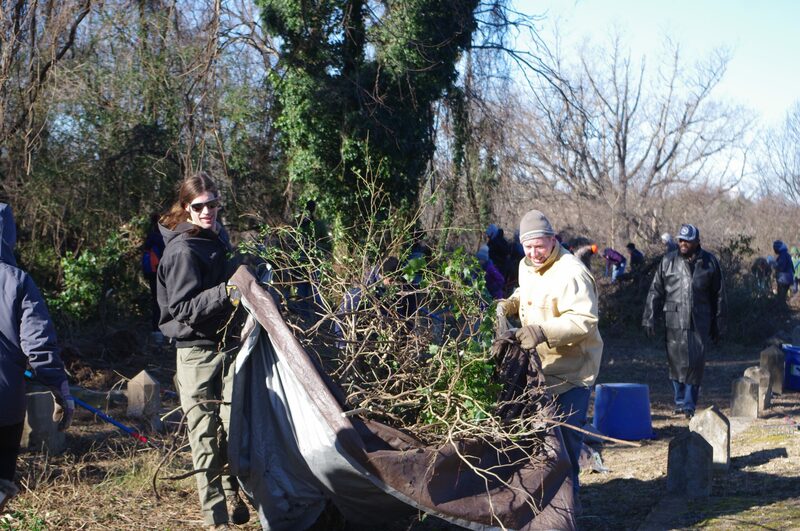 Through the heroic efforts of several National Park Service staff, Virginia Roots, and finally Friends of Evergreen, coordinated volunteer efforts were undertaken over the past 20 years to clear large sections of Evergreen’s overgrowth. Over the years, many families made it a priority to regularly mow and clear pathways to family gravesites. According to oral history, the cemetery already had fallen on hard times by the 1960s. By 1970, Evergreen’s future was uncertain. It changed hands several times, and entire sections had become overgrown. 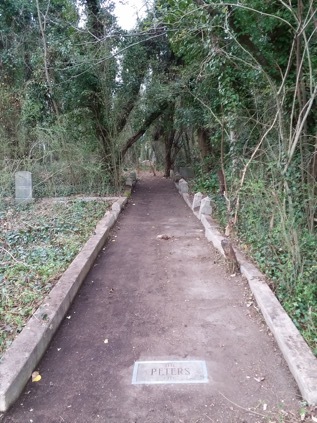 By the time Maggie L. Walker was buried at Evergreen in 1934, an elaborate and elegant network of paths and roadways led families and other visitors throughout the 60-acre cemetery. 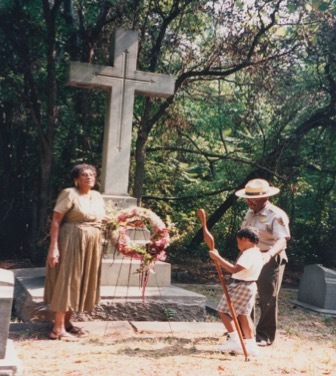 Evergreen Cemetery was founded by leaders in Richmond’s African American community who lived, worked, worshipped, and raised families in this neighborhood. 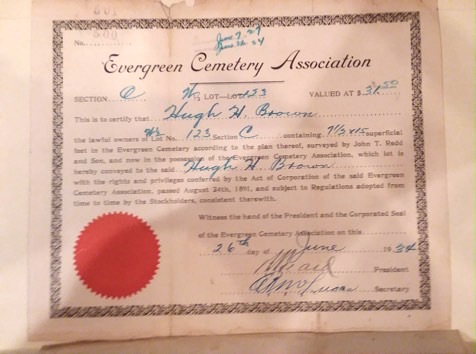 Unfortunately, there was no provision made for perpetual care of the cemetery and, without an endowment to help maintain the grounds, upkeep proved increasingly challenging.